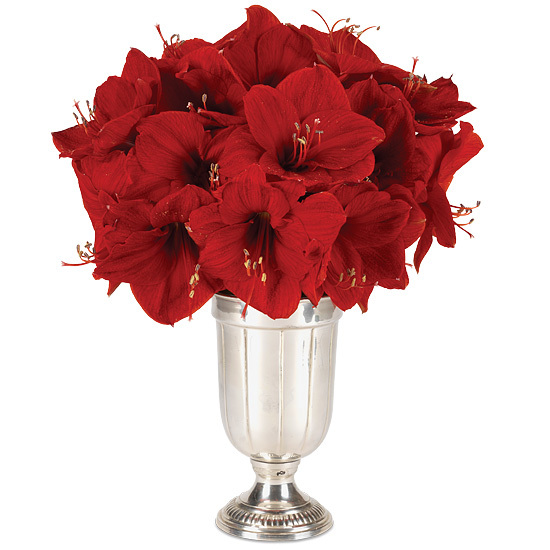 This impressive bouquet is made up of an extravagance of enormous amaryllis blooms, creating quite a sight that’s so uniquely merry and bright. 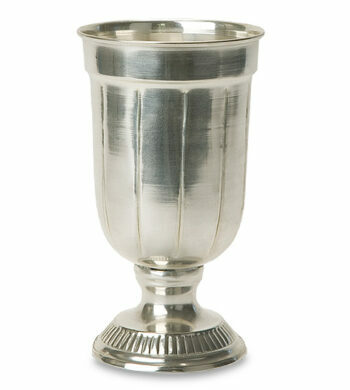 We’ve massed five stems, each bearing several huge, trumpet-shaped blooms in our elegant, aluminum-plated trophy vase. 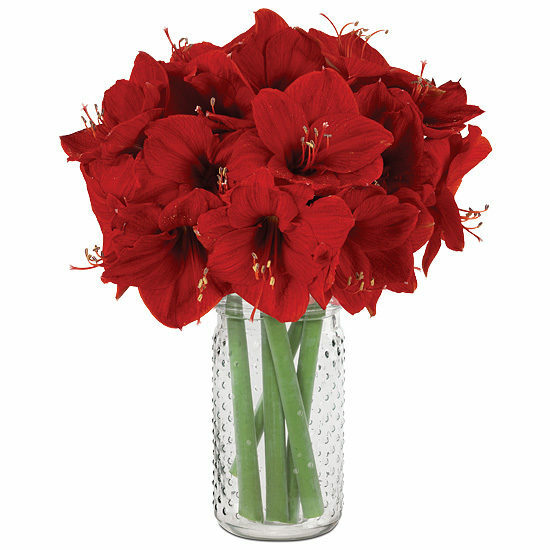 The flowers are grown for us in Holland and shipped directly to you in tight bud, so your recipient can watch as they open wide within two to four days. Your bouquet has been shipped in tight bud and it will take several days to begin to bloom. Give each stem a fresh cut underwater and place in vase. Don’t be afraid to cut! Your bouquet will look good with the stems in varying lengths. 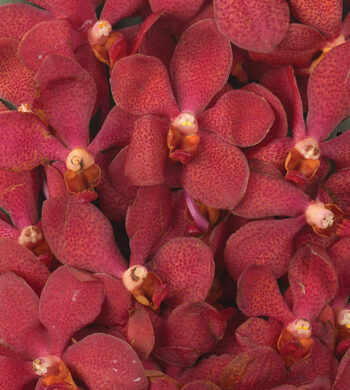 Please note stem ends may split during vase life, which is a natural characteristic of the flower. Remember to add fresh water daily and change the water every other day for best blooming results.